Pre-orders have been opened by Prime 1 Studio for a new assortment of IT (2017) Pennywise 1/2 Scale Busts. The three new busts are companion pieces for, and are compatible with, the previously announced Pennywise 1/2 Scale Statue. There are a total of three available, as well as a set containing all three. They have been named the “Serious” bust, the “Dominant” bust, and the “Surprised” bust. Each one includes a specialized display base, and stands about 16″ tall. The individual busts are priced at $499 each. The set of all three will run you $1,399. They are due » Continue Reading. 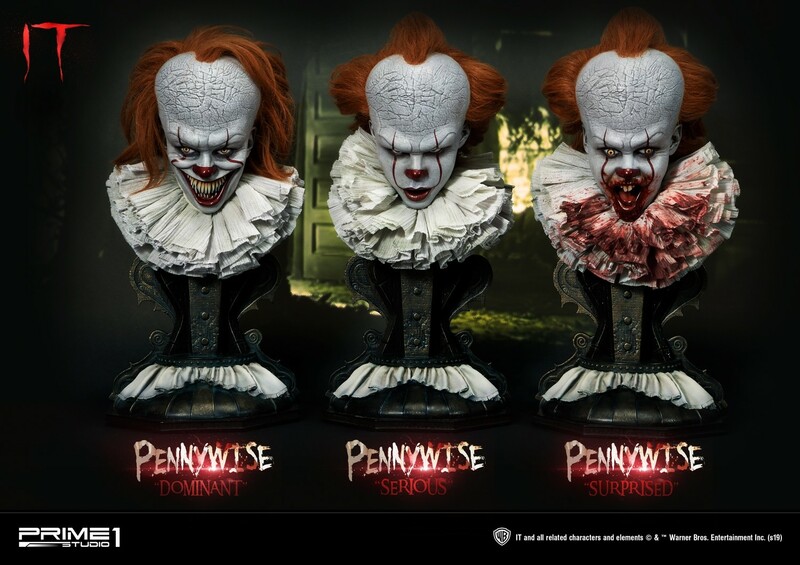 The post IT 2017 Pennywise Bust Collection by Prime 1 Studio appeared first on The Toyark – News.